But! One thing that has been an awesome addition to my pregnancy tiredness has been podcasts! 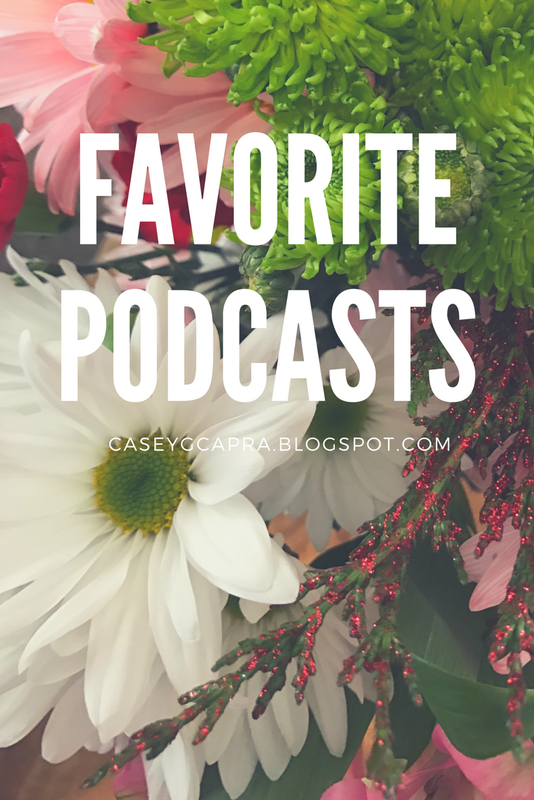 Back in December, I read a blog post by one of my blogger-friends, Bethany, at Dandelion Pie about her favorite podcasts. Not only was her list fabulous and helpful, but she pointed out something that I had not recognized in my own life. Bethany wrote that she found herself keeping Netflix shows on while she was home because she missed the chatter of living with a big family after she got married. And I realized that that was the very reason I kept the tv on so much during the day! I still tried to keep it on positive tv. For a long time, I watched everything Food Network (gotta love those competition cooking shows!!). After the first trimester nausea and consequential food aversions, I took a break from Food Network (honestly it felt more like I was breaking up with someone) and instead turned to Chip and Joanna Gaines and tiny house shows for company. And I was working while the tv was on, but it did offer a lot of opportunity for distraction. SO, I started gathering podcast suggestions (including Bethany's list) and I slowly grew obsessed with listening to them throughout the day. And I'm always on the hunt for more! - Marriage (Part 1 and 2) - great practical tips for marriage!!! The Birth Hour: (one of Bethany's recommendations). This podcast is all about birth stories!! Bryn Huntpalmer interviews a different mom every episode about their birthing experience. 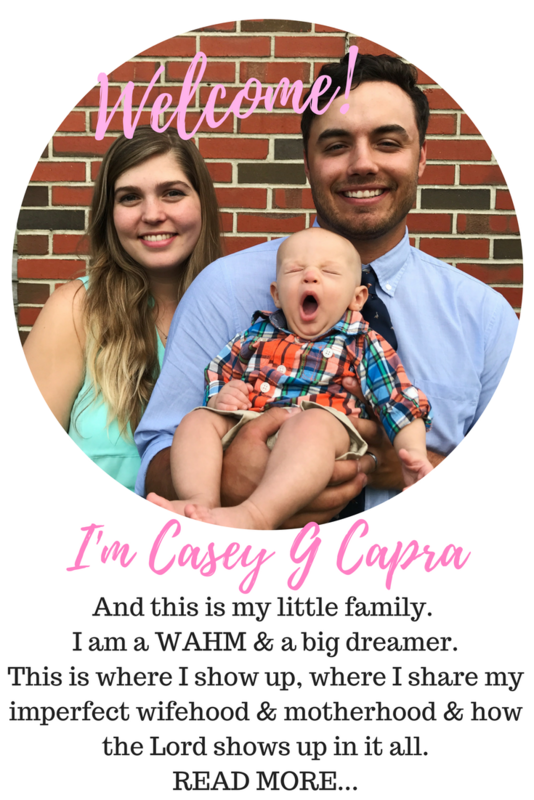 Not only is it interesting to hear about the different experiences and what it is like to bring a life into the world, it is also pretty educational because Bryn tries to side-note with interesting facts alongside the stories. Mud Stories with Jacque Watkins: Jacque is all about talking to women about the "muddy places" in life. I mentioned her podcast here and I am still listening! She has interviewed some crazy influential women, including Ann Voskamp (episodes 104 + 105), Jennifer Rothschild (my fave!) (episode 103) and Shauna Niequist (another fave!) (episode 96). These women have incredible stories, and I can't wait for Jacque to upload more podcasts. Radiolab: This is one I'm not actually subscribed to because some of the topics don't interest me as much, but they are a super random podcast that just shares facts or research or history things. My absolute fave episode is called Alpha Gal and it is all about food allergies, specifically, an allergy to red meat that comes from tick bites!!! Absolutely fascinating. It had me on the edge of my seat. The Happy Hour with Jamie Ivey: This is one that has been recommended to me twice but I kept forgetting to find it! Finally downloaded a couple of episodes and I'm starting to listen to them this week. The How They Blog Podcast: Another one recommended by Bethany, but one I haven't paid too much attention to... Honestly just because I didn't want to listen to anything that would make me feel bad for not blogging a lot recently! But it looks really cool, and helpful. Side Hustle School: I haven't listened to this one at all, but it was recommended by Grethen Rubin (you know, the Happier Project gal) and so I'm going to give it a try. Uniquely Woman: I just started this one as I'm writing this note, and I already like it a lot! They talk about womanhood, motherhood, and faith, and so far I've gleaned some really cool tips from them! They may become a fave. The Busy Mom with Heidi St John and At Home with Sally Clarkson! The Minimalists Podcast: I watched their Netflix documentary and thought it was so cool! But their podcast just wasn't as interesting... I think I just didn't enjoy listening to two guys chat about stuff, either. It's also pretty long (always over an hour) and I think they could shorten it. So this was a helpful podcast, it just didn't grab my attention. Young House Love Has a Podcast: At first I subscribed to them because my mom had given me one of their books (which is TOTALLY cute, btw). And I still think it's a GREAT podcast to be subscribed to if you love chatter and you're into house/renovations/DIY stuff. The only reason I unsubscribed (which is totally shallow) is because I didn't like the guy's voice. 😂😁 You should still look into that one. I hope you find this list helpful, or at least interesting! P.S. Hopefully next week I'll be sharing some ways that I'm making my current closet "stretch" into pregnancy as much as possible, along with some thrifted maternity finds! I've been meaning to check out some podcasts soon. My brother is a huge fan of podcasts. I love Young House Love so I'll definitely have to check their podcast out! It's a super fun one! I don't think it's shallow to not listen to a podcast because you don't like the person's voice. I mean, all you GET is their voice - it's like talk radio. It has to be enjoyable to listen too, right? Thanks for all the suggestions. I really need to start moving/walking more and I think I'm going to see if listening to podcasts will help with that. Hahah, I totally have to unsubscribe if I don't like the voice. It distracts from everything else! Ah, thanks for the sweet shoutout, Casey! I feel like we have A LOT in common. :-) Thanks for all the recommendations! I am going to add Joyce Meyer's podcasts, and Mud Stories to my queue! Also, I tend to avoid a lot of blogging podcasts too! They make me sweat. I tend to end up feeling overwhelmed. Blogging podcasts take a lot more energy to listen to! Ha ha!